During the early 80's, producers Don Dixon and Mitch Easter were best known for their iconic work with R.E.M, but they did some of their best work wrangling an infectious ska/rock/pop sound from a group of 2-Tone loving high school kids from Chapel Hill, North Carolina called The Pressure Boys back in 1983 and 1984. Amazingly, The Pressure Boys including Rob Ladd on drums and vocals, John Plymale on lead vocals and trombone, Byron Settle on guitars and vocals, Greg Stafford on saxes, Jack Campbell on bass and Stacy Guess on trumpet had formed just a few years earlier during the fall of 1981 at Chapel Hill High School. 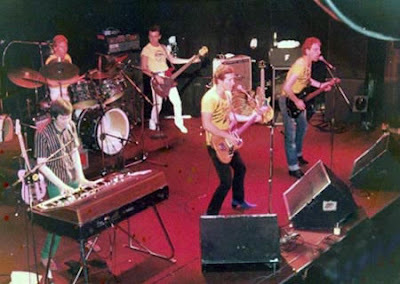 Early on, the band relied heavily on their youthful energy and enthusiasm to get by playing covers by Madness and The Specials at local college and high school parties. But by 1982, they were putting together original ska influenced songs with some weirder elements that echoed both early XTC and Oingo Boingo. Within a short time the band were at the top of the local alternative-music totem pole with a lot of support from the fan base they had built up at Chapel Hill High School. The Pressure Boys didn't sound much like anyone else in the southeast music scene but they fit right into the burgeoning rock underground that was coming together in Chapel Hill, Athens, Gerorgia (Home of R.E.M. and The B-52's) and other Southern college towns. According to Trouser Press, the band "deliver hot'n'sweaty horn-inflected ska-beat rock. The sextet's gangbusting, headlong enthusiasm recalls the early Specials (without the accents or trebly sound) but songs like "Tina Goes to the Supermarket" undercut any seriousness that might have been intended." Indeed, it was this lack of seriousness that both endeared them to club audiences in their hometown and across the U.S. but also kept them from breaking big. Record companies may have been put off by the goofy image the band cultivated and by their seeming lack of interest in playing the music industry game. The band played it's last show in the Spring of 1989 and its members all moved on. A few of the members joined Squirrel Nut Zippers who had a million selling album in 1996, while band singer John Plymale became a noted producer and band drummer Rob Ladd ended up touring with Don Henley's band. It took the band twenty years to reunite, but in May 2008, the band found a reason. cystic fibrosis. Plymale's daughter had been diagnosed with the disease and he was looking for a way to help raise money for research. On Friday May 2nd and Saturday May 3rd, 2008 the band returned from its twenty year hiatus to perform at the Cat's Cradle, with proceeds from the show going to the Cystic Fibrosis Foundation. I was able to interview the band's saxophone player Greg Stafford (now a lawyer) who shared his memories of playing in the band, what it sounds like to open a show for Duran Duran and their 2 show reunion last year. Read on. What was it like growing up in Chapel Hill in the early 80's and how did that influence you musically and artistically? Chapel Hill had a good music scene. Don Dixon and Mitch Easter were playing around town and Sara Romweber was in HS with us. She introduced the band to Mitch and he made it possible for us to record/get some exposure. My dad was a clarinet player in the Marine Corp band. I did not decide to become a musician, I decided not to get my arse kicked. Was a huge fan of reggae but only got turned onto ska because of the band. How did The Pressure Boys get started? You met all your band mates in high school right? What made you decide to play ska? I was not around for the initial founding part. Me and the rest of the guys did not really get along. Their problem was their sax playing pal, Will Campbell wouldn't do it so they were stuck with me. How would you describe the early sound of the band? When and how did you hit on the sound of the band? We sounded as much like whatever band we were covering as we could. It took a while to mature enough to develop a sound. A lot of critics complained that we did not have a set sound and we were to varied to be placed in a specific genre. What was the music scene in Chapel Hill and other cities in the South like in the early and mid-80's? It was a lot of fun. We had a string of clubs on what was a pretty regular circuit for bands during that time. Richmond (Rockets); Chapel Hill (The Cradle); Raleigh (The Pier/The Brewery); Greensboro, (The Milestone); Athens (40 Watt) and the 688 in Atlanta. That string of clubs made it fun and financially doable to travel. Tell me about working with Mitch Easter on Jump Jump Jump in 1983 and Don Dixon on Rangledoon in 1984. How did you get connected with them? Any interesting stories about recording with them? In retrospect both Mitch and Don were extremely patient guys. We were so young and arrogant. We thought we knew so much and only time was able to teach us how little we knew. Don and Mitch knew but chose to help us anyway. I am very thankful for that. Don likes pouring coffee in mixing boards. I know you played close to 500 shows and put in 100,000 miles touring during the lifetime of the band, but can you share any unusual stories about any live shows that were particularly memorable? I fell through the stage at the Milestone. That was cool. We played a club in Minneapolis owned by Prince. During the show I got hit in the head and was bleeding all over the place. We finished the show but I had lost a lot of blood and was in pretty bad shape. The guys were sitting around and said they thought they should bring me to the hospital. Some girl volunteered to take me and they sent me off with her. I did not know her nor, before cell phones, did I know how to contact the guys. Anyhow she took me to the hospital and as I looked through the fog I look up and it is my high school girlfriend sewing up my head. She was doing her residency there...and wondering what I was doing with this horrible woman. That was a funny story but the real, more boring story was how much fun it was to travel and how much I learned from the rest of the guys. They are truly gifted and I feel it was an honor to play with them. What was it like to open up for Duran Duran? When and where was this? What other bands did you play with? Duran Duran was cool because it was our first huge show. I can remember the sound of 20,000 pre-pubescent girls screaming as we came out...and the groan of 20,000 girls when they realized we were not Duran Duran. It was a ton of fun though. Their sax player stole my neck strap. We played with Missing Persons, Billy Idol, Fishbone, REM, Bow Wow Wow. You had a video that aired on MTV's 120 Minutes back in 1986. What was the story behind it? Our singer John Plymale could tell you more accurately than I can. I just showed up and played on a cold day. Why don't you think the band got signed to a major label? You certainly had the live chops and the following to warrant it? I think our arrogance and unwilling to be tamed attitude had a lot to do with it. It is really hard to say. Why did the band break-up in 1988? We had done all we could in a way. It was getting stale and I do not think we believed we would get signed so some guys wanted to try other things. I don't blame them and they did and are doing very well. The rest stayed with music. I chickened out and went to school. You reformed for two shows last year to raise money for cystic fibrosis research. What was it like to play again after 20 years and what kind of reaction did you get from your hometown fans? It was a blast. Again, it was an honor to play with those guys. I had not played since the Pressure Boys years so I had to practice a ton to get ready. I was so happy that my kids could see me play and it was a blessing. God let me have that moment and I am thankful. John is a truly special person and I guarantee he is the only person who could have talked us into doing that. As for the people there it was great. It was crazy how many folks I recognized. I did not look at them as fans though. They were friends who's faces I still know. The club was packed both nights and I owe every person there for helping me have the night of a lifetime. My biggest fear was that we would play to an empty house. They paid the money to make sure that did not happen. What are your lasting memories of performing with The Pressure Boys? Learning to truly respect the musicianship of the guys I got to play with. Each one of them is amazing. Though we keep in loose contact I always know what they are doing and it makes me happy knowing they are alive. I miss Stacy. I have taken my kids to see his grave and his life has informed my decisions when I counsel other families who have kids in his situation. This story would not be complete without thanking Frank Heath. He is the owner of Cat's Cradle in Chapel Hill and a generous great guy. We owe him a lot. Below is a video for 'Round The World' that was played regularly on the MTV show 120 Minutes in the mid-80's. The band re-mastered and re-released their entire catalog of songs titled 'Incomplete Recordings' just a few years ago. All the money earned from its sale is donated to research for cystic fibrosis. It can be purchased from CD Baby or downloaded from iTunes. The release in the U.S. in early 1973 of 'The Harder They Come', (a movie that required subtitles so that American audiences could follow the dialogue) had an impact far beyond its modest take at the box office. While the film had a cultural impact and developed a strong cult following in the years following its release, it was the movie soundtrack which captured the hearts and minds of like minded people across the country introducing reggae to a wider American audience. In fact, the movie can be credited with giving rise to the first American reggae band -- The Shakers -- who were musical pioneers playing reggae when it was an odd, foreign sound to most Americans born and raised on rock and roll. The band's legacy, which is sadly unknown to most, includes being the first American reggae band ever signed to a major label (Elektra Asylum) and fielding a legitimate offer from Bob Marley to produce one of their albums. But I'm getting ahead of myself. Let's start at the beginning of the story. The soundtrack of 'The Harder They Come' captured reggae at the moment it entered its own golden age at the start of the 1970's -- with a variety of styles, rhythms and exotic lyrics. It included songs by Jimmy Cliff, The Maytals, The Slickers and others -- soulful ballads, upbeat rockers and even songs that quoted scripture and preached peace. The film became a primer for Americans about reggae music and the Jamaican experience. According to an essay in The Criterion Collection, a film publication, 'The soundtrack of 'The Harder They Come' is something like the Sgt, Pepper’s of reggae—one of the hippest and most memorable collections of Jamaican music ever recorded." Berkeley, California was the perfect birthplace for the first American reggae band. The city was open minded about music and its role as the center of the 60's counter culture meant that the songs of protest, rebellion and redemption that featured in much of early 70's reggae were embraced with open ears. The album electrified the music scene and musicians in Berkeley, (the physical and spiritual home of The Grateful Dead). One in particular was Ron Rhoades, a drummer living in the Bay Area who became a reggae convert after seeing the movie dozens of times and later haunting record stores for Trojan Record releases from the U.K.
Rhoades was a local musician who had played with a few rock bands but was quickly bitten by the reggae bug. He tried to get his band mates to play reggae, but the beat and feel of the music confounded most American musicians who could not get used to the odd offbeat rhythm. Undaunted, Rhoades persevered and soon had a group of musicians (including Josh Harris on keyboards who later joined American ska band The Untouchables) listening to and playing along with reggae and rocksteady songs they bought at the local Tower Records and taped off a popular Berkeley reggae show. 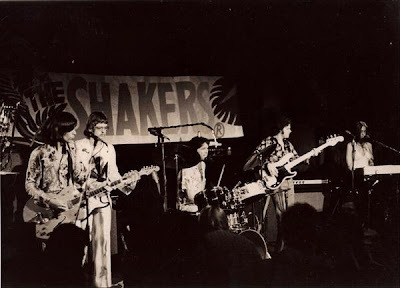 After a period of rehearsing and playing out as The Titans, the band became The Shakers and they were ready to play out and soon became mainstays at a popular club in Berkeley called The Longbranch performing a regular Sunday night residency for more than a year. Like the O.N. Klub in Los Angeles which helped to popularize ska in the early 80's, The Longbranch was responsible for the growing popularity of reggae in Berkeley and it booked reggae bands from Jamaica on a regular basis (Toots & The Maytals, Third World and other made their U.S. debuts at the club) which also made the music more popular with the locals. 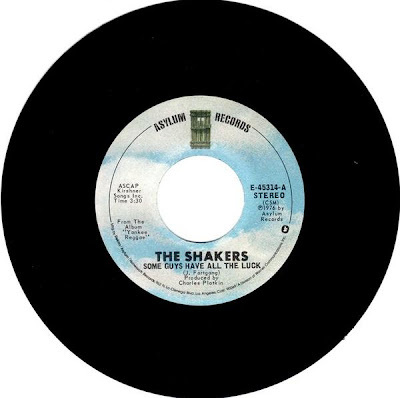 The Shakers became so popular that they garnered press in New York City in the mid-70's. The Village Voice wrote a long article about Berkeley and The Longbranch as the epicenter of Reggae in the U.S.
After their year long residency, The Shakers became so popular that they were eventually signed by David Geffen to Elektra/Asylum records in 1975 and went on to record an album produced by Chuck Plotkin called 'Yankee Reggae' (a moniker given to them by Toots Hibbert after the two performed and played together but also an omen for the sounds contained inside the LP). The band spent much of 1976 touring the United States turning people on to reggae music and what they knew of the history. They worked with, and learned from, many of the first "wave" of Jamaican acts to come to the U.S. including, Toots and The Maytals, Dennis Brown, Inner Circle, Eric Donaldson, The Soul Syndicate, Third World and many others. 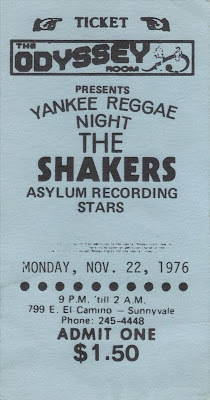 The Shakers further exposed reggae to American audiences when they opened huge stadium concerts for The Pointer Sisters, Three Dog Night, Blood, Sweat and Tears, and Booker T and The MG's among others. Much of the band's first tour was spent opening for reggae groups on tour in the U.S. like Third World, Toots And The Maytals, Inner Circle, Dennis Brown, and Eric Donaldson . Of course, Elektra-Asylum Records and their producer didn't understand reggae or how to promote the band properly. The label and producer Chuck Plotkin had the band record covers and watered down the reggae sound of the band. According to an interview that Rhoades did with Bob Marley Magazine in 2000, "Hollywood just wasn't ready for us although they (Elektra/Asylum) did sign us in 1975 and tried to make us sound like bright happy shiny kids with a new beat. They changed our sound so much that we weren't even the same act that drove down there. I got so pissed off at Plotkin for making me sing these tunes that I didn't want to sing that I went crazy and threw a lot of stuff from my hotel room in to the swimming pool. He would say..."you gotta sing this one...I promise you it will be a hit" and he was a big producer and so I trusted him I guess and did what he wanted and for years I hated that record because it wasn't us. It wasn't what we sounded like and they wouldn't let us get a Jamaican producer and they did take the fun out of our chance to be something." Elektra/Asylum released the band's first single which was a cover of 'Some Guys Have All The Luck' (the follow-up was 'Baby Come Back' by The Equals). Rhoades and the band were disappointed in the choice and the final result. According to the Bob Marley Magazine interview, "I wanted to do one of my originals instead and Chuck and I fought long hard on this one but of course he won. I remember doing the vocal for that and I was so pissed off that i just sorta blazed thru it...and did a harmony track...and then another harmony track and on and on all while reading the lyrics off a piece a paper!!" The band fought valiantly but were unable to convince their producer or the label to let them be a real roots reggae band. Rhoades remembered one studio battle they did win, "I'll never forget the night we slipped a valium into Plotkin's coffee and an hour later he was asleep on the floor of the control room and we got the engineer to let us do a dub of one the tracks...Plotkin wanted nothing to do with dubs which to us were a huge part of our sound...we admired guys like King Tubby as much as guys like Bob Marley and it was all a part of who we were. We mixed up all that Jamaican stuff to create a sound of our own...and Hollywood took that away from us and basically took the soul right out of our music." Amazingly, while the band was on tour during 1975-76 to support their album, they were able to connect with Bob Marley, who agreed to produce their next album if they would cover a couple of his songs. It was the break they were waiting for as it would have helped them get the reggae sound they longed for as well as much needed credibility in reggae circles. 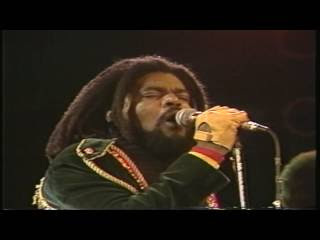 When the band relayed Marley's interest and availability to Elektra/Asylum, the label turned down the request believing that he lacked the requisite 'hits' to serve as a producer. Shortly after this rejection, David Geffen left the company and Joe Smith from Warner Bros. took over the label and dropped the band while they were still on the road. Rhoades sold the label the rights to his original songs on the album so the band could finish the tour. The band continued to tour after being dropped, with a variety of old and new members. 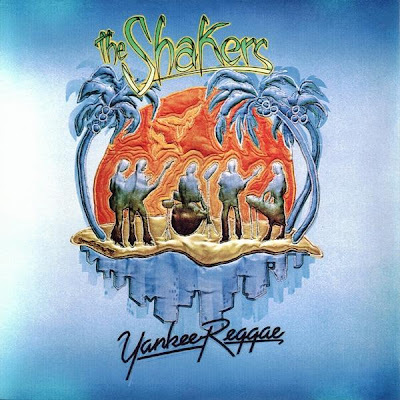 In 1980, The Shakers became The Fabulous Titans, returning to the sounds of Rock Steady and Ska, adding a horn section and Jamaican drummer Lloyd "Legs" Adams, whom Rhoades had met in the early 70's when he was Inner Circle's drummer. The band released an E.P and received a lot of airplay on college radio stations throughout the country. The record landed in the hands of a Cuban DJ in Havana, and became a hit with Cuban kids and the Fabulous Titans were invited to be the first American band to tour the island. It was a massive success, with the band playing sold out concerts night after night for 3 weeks. I recently connected with Ron Rhoades who now lives in Hawaii and continues to perform reggae and surf music. He took time to share a very detailed history with me about the origins of the band, his introduction to reggae and the very early days of the band. Can you tell me your introduction to music and ska/reggae music in particular? I was raised in a small dairy community in Humbolt County in Northern California. The little town is called Ferndale and is much the same today as it was back in the 50's. I lived there with my parents and four brothers. I used to love to listen to the radio back then and started to fancy myself as a singer and drummer. I used to drag our rubbish cans up to the top of a small hill behind our house and bang on them with sticks i found under trees and sing as best i could the songs i would hear on the radio. Fats Domino, The Fiestas, Elvis and all that early rock and roll stuff. The neighbors could also hear me and would tell mom that maybe i had some talent. Mom taught me how to sing properly while i dried the dishes she washed and taught me how to sing harmony and stay on my note while hearing someone (her) sing a different note on the same melody. I fell in love with music....all kinds of music. I wanted to be a singer. Mom was very encouraging and bought a cheap guitar from the Sears catalogue which we boys banged around until it was destroyed!! Remember we were just kids. She bought me a little "toy" drum set with a picture of Spike Jones and His City Slickers on the bass drum head which was destroyed in about a month or so and she bought this little wheezing keyboard thing that plugged into the wall that had keyboard notes as well as push buttons to make chords. You could push the buttons to make chords with your left hand while playing along on single notes with your right hand. I don't think we destroyed that one because it was mom's and not ours to destroy. The memory of these instruments and the time i spent trying to figure them out stayed with me my entire life. Even though we destroyed most of them, i realized that i wanted to be a musician and singer. My father died when i was 11 years old and we moved away from Ferndale and wound up in Felton a small town in the Santa Cruz mountains. Then on to a small beach town in Central California named Shell Beach which was a mile or so North of Pismo Beach. That's where mom bought me my first real set of drums. I played music with a few local guys and my first paying gig was for a grand opening of a furniture store in Grover City. I was maybe 14/15 years old and we got $3 each and a hamburger sandwich at the little restaurant across the street from the gig. Mom passed away when i was teen and some high school friends that were going to college in Oakland came down to Shell Beach to ask me to come up to Oakland and play guitar in their band the Motley Crew (no, it was a different Motley Crew!) and it was a hard decision for me to give up surfing, a sport i really loved, and do music full time. Of course I decided to go with them and become a professional musician. That was in '65/'66 and i lived and worked in the Bay Area for more than 20 years. I was in teen bands that couldn't play in clubs cause we weren't old enough so we performed in rod and gun clubs, teen centers and high schools all over Northern California for screaming girls seeking our autographs. I got an audition with a group called The Crabs who were a bunch of older guys looking for a drummer and i got the gig!! Those guys taught me how to act, what to say, what not to say, they snuck me into clubs to play before i was 21!! When i would enquire as to where my money was, I would get....."you gotta pay your dues" which meant you didn't get paid until they decided to pay you!! That "pay your dues" thing still haunts me to this day!! But i learned so much about the music business from them and I'm still very grateful for the lessons even though I went hungry most days and nights. When i turned 21 in 1969, i got a check from the Social Security office for $1,200. It was my share of our fathers account. I was so happy. It was a complete surprise to me. I went down to Leo's music store on 17th and Clay in Oakland and bought my first set of drums. It was a brand new set of Rogers. I bought the Rogers beacause that's what Dave Clark used (The Dave Clark Five was my favorite group at the time). I also payed off a small tab the Crabs had there for strings and cables and stuff. I still have, and still use those drums to this day. It's really the only thing i have from my father. The drums still sound really good and I'll have them until i retire. They've been on many, many recordings and i used to rent them to Santa Davis from The Soul Syndicate when they were in town...oops I'm jumping ahead, but that's how I got started in the music business. I remember a little 45 record in 1967 called "Hold Me Tight" by an artist named Johnny Nash that had such a differnt and unusual drum beat. I didn't know it was Jamaican. I thought it was a 50's rock and roll sound that I'd never heard. I didn't think much about it except that i liked the drum beat because it was so different. The very next year, 1968, there was a tune by an artist named Desmond Dekkar and The Aces..."The Israelites"...that had a very similar beat as the Johnny Nash song and it got my attention and I began to look for any info on this new sound. I came across an article in the Rolling Stone magazine about Jamaican "rude boys" and a new sound that was being created called reggae. The article mentioned Desmond Dekker and Toots and The Maytals and Jimmy Cliff and a whole bunch of Jamaican artists that were at the forefront of this new sound coming from a tiny Island in the West Indies. The band i was playing with at the time, Knee Deep, was doing classic R&B stuff from New Orleans, Memphis and anything with soul that we could find!! I was discovering black music and singers and players and realizing that this is where all music comes from. I didn't want to hear Pat Boone's version of these great tunes and so i went on a mission to find as much black music as i could which led me to the Johnny Nash and Desmond Dekker stuff. Knee Deep tried to do a few of these reggae tunes but we just didn't have the feel or the soul of it yet. What is the genesis of The Shakers? How did you find other musicians who wanted to play reggae? When Knee Deep broke up I tried to find musicians that wanted to play reggae. Actually, it was called Rock Steady, a more uptempo version of what it would become. While trying to find players i was also looking for any information i could about Jamaican music. I was in Tower Records in Berkeley one day when i came across a "West Indian" import section which had some Trojan releases from Jamaica in there. We found out later that Trojan Records was an English label that kinda "sweetened" the original Jamaican recordings to make them more appealing to the white British kids. I would buy these compilations on Trojan that had white kids on the cover and would think to myself...so, there are white kids into this Jamaican music....it opened a lot of doors for me as an artist. It made me think that it was OK for white guys to play reggae. Of course it didn't turn out that way, but it seemed alright at the time. From the very beginning...it was NOT ok for white guys to play reggae music. Period. But I didn't know any better and set out to educate myself in Jamaican music. The records that i bought at Tower i read every thing that was printed on them! I wanted to know who the artists were, who the producers were and especially who the musicians were. The few names that you could get from a record then led me to guys like King Tubby, Delroy Wilson, Ken Boothe, The Pioneers, The Ethiopians and just tons of new artists making wonderful records on shoe string budgets and cheap recording equipment and instruments. I just fell in love with it all. I don't know why really...but I did. The first rock steady/reggae band i started was The Titans. It was 1973 and Knee Deep was breaking up so i wanted to try and find musicians to play reggae with. Of course there weren't any!!! Haha! I put ads in the local papers, bulletin boards and spread the word as best i could. I got calls from a few guys who were just looking to play music with someone but didn't know anything about reggae music and when they heard the few records that i had, they didn't like it anyway. Heck, i couldn't blame them. The records were "ruff enough" as they say! The instruments were out of tune, the records were all scratchy sounding, you could barely understand the singers not to mention guys like U.Roy and Big Youth and I Roy and Scotty and all the toasters as they were called then. It was a crazy sound for Americans to pick up on. My black friends called it "jungle music" and didn't want anything to do with it. They were embarrased by reggae music. It didn't discourage me though and i kept looking for players. I finally got a few of the guys from Knee Deep to try the new sound. Bass player Tom Dannenburg, roommate and sax player Carroll "Rico" Knapp and rhythm guitarist Hank Huenink with me on drums. I had been buying as many Trojan imports as I could find and afford and was practicing reggae drumming in my bedroom with blankets on the drum heads so as not to bother the neighbors too much. It took a long time to just drop the kik on the two and the four. I mean it took a really long time to teach myself how to do that and keep the meter going and have dynamics and all that stuff for 3 or 4 minutes at a time. It was very difficult. I could drop the kick on the 2 and 4 but i couldn't capture the loose feeling of the Jamaican style. My drumming sounded very mechanical compared to the Jamaican drummers....but i was playing reggae!! I worked for hours every day untill i felt comfortable enough to play it with other musicians. To jump ahead a bit...it took me many years to realize that the soul of reggae was more of an oval than a circle. Once i got that oval thing down i actually became a pretty good reggae drummer...for a white guy!! So Tom and Rico and Hank and I started looking for other players and came upon Josh Harris, a keyboard player/vocalist from Marin County and Joel Shankar a guitarist/vocalist from a nearby community. They wanted to learn how to play reggae. We all wanted to learn together and we became The Titans. I got the name from a t'shirt i bought at a thrift store. A black shirt with the words 'The Titans' in yellow felt on the front. We started to learn as many songs as we could from the Trojan records i had and we also began taping a reggae radio show from Berkeley station KPFA with DJ Tony Wright aka Tony Moses. He seemed to have all the latest singles from Jamaica and we recorded his shows to find material to do which was at that time mostly reggae covers of American R&B songs that we already loved and new. All we had to do was learn the Jamaican way of playing them. Josh was very enthusiastic about reggae and showed up almost everyday to play and hang out with the rest of us. He had the Jamaican keyboard "bubble" down pretty quickly and could sing while playing it which was no easy task in those days without any help from any Jamaicans. Bassicaly we learned how to play reggae from all of those records and tapes we collected. Joel was a 17 year old kid with a lot of desire and was a neat guy to hang out with and was a pretty good guitarist too. He also sang and wrote his own songs which was pretty cool. Hank was a good rhythm guitarist and sang as well. He was a really cool guy that was a little older than us and we looked up to him. He collected an amazing amount of Tony's radio shows on reel to reel tape and we would let those run and sit around and go "let's do that one" "hey, let's do that Delroy Wilson cover of Tom Paxton's tune" and just pick and choose which ones we wanted to try and do. Tom on the other hand was never comfortable with the monotonous bass patterns which were the foundation of the music we were trying to learn. I didn't blame him. It really was a foreign music and he just didn't get into it like the rest of us but he did the best he could for as long as he could and dropped out after a few months. We actually booked a few shows while we were together but we were unknown and playing a kind of music that no one knew of and could care less about. That was also the beginning of hearing.."why don't you guys play some rock and roll so we can dance"!! I had people yelling that at me for years!! We also had an opportunity to record while we were together. An engineer named Paul Stubblebine offered to record us for free in his studio (The Church in San Anselmo) so he could learn to be an engineer. We did a bunch of tunes that i sang mostly but Joel had one of his originals in there too. The recordings are all lost except Joel's tune. What a shame because they were the first American reggae recordings i believe. Remember this was before 'The Harder They Come' which came out later that same year. We didn't know of any other reggae bands back then of any color!! I've since learned that there may have been another group called Blue Riddim from Kansas that was together around the same time. I found a record by an English band called G.T. Moore and The Reggae Guitars and they had some white guys and i wanted to move to England right then and be in that band. I tried to figure a way to make it over there but couldn't. I regret not moving to England in 1973 and joining a reggae band. Reggae as it turned out was accepted by the white kids over there but we didn't find that out for years. I tried as hard as i could to get American kids from our area to just listen to the music and give it a chance. I would say it's no different than American music...it just has a different beat. 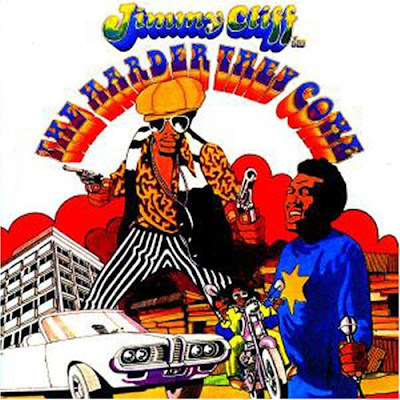 I think people started to realize that when the movie 'The Harder They Come' was released in the U.S. It was a very popular underground movie about a reggae singer played by Jimmy Cliff. We loved it even though we could barely understand the thick Jamaican patois. That movie opened a lot of doors for us. We would say "that's what we're trying to do". I hope to share more of Rhoades' memories of playing in the band, recording the album and touring the U.S. in the mid-70's as one of the first American reggae bands at a later date. The 'Yankee Reggae' LP is long out-of-print and is very hard to find, though copies are sometimes available for sale on Ebay. In the meantime you can also listen to several songs from the album on the band's MySpace page. It goes without saying that I am enamored of 2-Tone era ska and reggae bands and artists that didn't quite reach the audiences that they deserved. Though many of these bands plied their trade nearly 30 years ago, I believe it is my job to champion their sounds to those of you who may also be interested and maybe a bit more open minded now then listeners were during the heyday of the late 70's and early 80's. One band that I initially discovered via a variety of British ska compilations was The Tigers. I was intrigued by their intelligent, pop-driven ska and reggae songs as well as the voice of their lead singer Tony Jacks. The songs I heard were definitely in the vein of Elvis Costello's pop-reggae 'Watching The Detectives' or Joe Jackson's 'Beat Crazy' LP which dove into an exploration of reggae with heavy pop overtones. When I dug I little deeper I learned that the band had used the 2-Tone records blueprint to start their own record label Strike Records in London in the late 70's releasing singles to critical acclaim from the British music press which lead to a recording contract with A&M records here in the U.S. What was really unique about The Tigers is that they by-passed establishing themselves in U.K. music market (indeed their one and only LP was never released in the U.K. or Europe) to first try and make their mark in the U.S. just as American audiences were being introduced to ska and reggae via 2-Tone bands, The Police and Joe Jackson. Unlike their British contemporaries, they had to work all that much harder to connect with American music listeners as they were being promoted like a new American band signing rather than a band that has crossed organically to the U.S. That experience of slogging through a variety of good and bad club gigs up and down the East Coast of the U.S. made me respect them immediately. Unlike many of their U.K. contemporaries, The Tigers approached the making of demo recordings of their songs as if they were making master recordings. The Tigers released their first singles - 'Savage Music,' 'Jack it Up' and 'Kidding Stops/Big Expense, Small Income' on their own Strike Records. 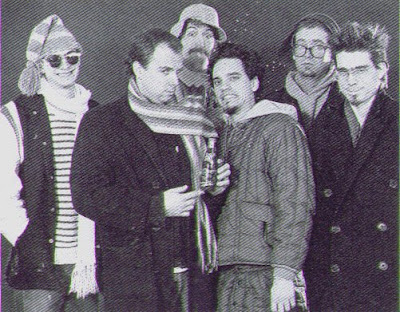 The band had support from BBC Radio One's John Peel Show and helpful suggestions from Elvis Costello's manager Jake Riviera regarding "upping the ante.'" With their second single, 'Kidding Stops', the music press took notice. In the 1979 pre-Christmas edition of the New Musical Express (NME), made it 'Record of the week' with the following description, "Forget The Police, forget Madness and The Specials...My God this is a big hit record"
Major record labels pricked up their ears and The Tigers were signed to Warners UK who had brought The Pretenders to the label and to the top of the UK charts with 'Brass In Pocket". At the start of 1980, the band were signed by renowned Joe Jackson producer/A&R supremo, David Kershenbaum to A&M Records for the U.S. and Canada. The band toured small clubs around the U.S. and had some success in major markets like New York and Los Angeles where they were fêted at the infamous Tropicana Hotel in Los Angeles and The Tudor on 42nd Street in New York where they held court. Some positive reviews of their one and only American LP 'Savage Music' and their live gigs at the Whiskey A Go Go and Madame Wong's in Los Angeles and Max's Kansas City in New York made them popular with American celebrities like Lauren Bacall, the Kennedy Kids, David Carradine and others. London has always been a fantastic ‘boiling pot’ of a city. Now it has emerged as the’ New York’ of Europe, but back in the 1960’s & 70’s it was a slightly different story. Fuelled by the twin success of the England soccer team in the World Cup of 1966 and the explosion of groups like the Beatles, Stones , Kinks & Who, the UK was a buzz of pop and sporting culture amidst the still somewhat shabby buildings ,drizzle & fog. Needless to say I was, and remain, a big Chelsea fan, and still get a tingle when ‘Waterloo Sunset’ comes on the radio. When did you pick up the guitar? When did you make the conscious decision to be a musician and songwriter? I got my first guitar when I was about 9. It was a bit of a bashed up Spanish number that a cousin had blagged off a school friend. My mum had told him that I wanted to play guitar, and it really was something of a surprise. I do remember thinking “why has it got a hole in the middle of it and where do you plug it in?” The electric didn’t materialize until I was 12 or 13. Then it clicked!! After playing in groups at school and college, by 19 I wanted to get serious. Come early 20’s I’d hooked up with co-writers Al Price and Jim McIlroy, wrote a bunch of songs, signed to Jimmy McCulloch’s (ex Wings guitarist) publishing company, met producer Hugh Murphy (“Baker Street “-Gerry Rafferty) and recorded some demos with him for Arista Records. What was the genesis of The Tigers? Is it true that you picked the name of the band based on the American colloquialism of calling a man 'Tiger'? The Tigers were formed after I returned from a trip to the US in ’79. I was working in a series of dead end jobs in London after the Arista interest blew cold, and the publishing company grounded after Jimmy McCulloch died. I decided to take some new demos and try my luck. The West Coast was a blast at the time, the club scene vibrant with acts like the Plimsouls, the Busboys & The Go Go’s. I was fortunate to meet some great musos and celebs like Rick Danko of the Band, Bonnie Raitt and David Carradine through mutual friends, which lead to some management interest in LA.However, I wanted a UK ‘feel’ to my band, and a specific set of guys that I knew could ‘get the boat rocking’. So back in London, I hooked up again with lyricist Al Price and began writing what were to become the core tracks. The band was named after a line in one of the first songs written, ‘Savage Music’. “Bite like a tiger, strike like a snake”. We could’ve been called ‘the Snakes’!!! Tell me about the reasons and decision behind the start of Strike Records? The punk movement had been a refreshing blast of energy into the UK music scene at the time, and bought a new found DIY approach into the promotion of new music, writing and art. The rise of fanzines and stores like Rough Trade meant there were at last alternative ways to reach an audience without relying on the whims of major labels and music press editors. Starting Strike Records with Carole Striker was just that vehicle. An initial solo EP released in mid ’78 after the Arista interest faded, was largely ignored, but picked up a decent trade press review, which led to instigating some initial contacts in distribution & export which proved useful after The Tigers formed a year or so later. Did you grow up listening to ska and reggae music? When did your interest in ska and reggae music start? Late teen interest in ska acts like Max Romeo & the Upsetters’ led to a a ready acceptance of the reggae explosion in 1970’s West London culture. One evening in the early 70’s I bumped into a friend who told me there was a special gig going on at the Greyhound pub in Fulham Palace Road. It sounded too good to miss, I got there pretty late, but knew the bouncer and the owner, a great character from Glasgow called Duncan, who, although the place was ‘rammed’ let me in. I was totally hooked by the mesmerizing sounds coming from the small stage. The bass, the drums, the vocal harmonies – extraordinary- and the undeniable charisma of the lead vocalist. I had unwittingly witnessed probably one the first UK gigs of Bob Marley & the Wailers, and I was hooked! Early on the band made a conscious decision to focus time and energy on writing and recording songs and releasing them instead of playing out. Was this DIY approach considered unusual at the time? A lot of bands tried to build word-of-mouth through live shows. I think at the time, and with the advent of ‘band’ administered labels like 2Tone, there was more of an inclination to have at least a single out there to hopefully garner some attention, even if it were fanzine or local radio feedback. It could often, even then, be a costly exercise to try and break thru’ on gigs first and foremost,unless like acts like the Jam or the Clash who were signed to majors from the onset ,you had a budget to help support extensive touring in tandem with releasing a single every 3 months and slowly establishing a larger fan base over a 12 to18 months period. 2Tone released not only The Specials, but put out initial recordings by Madness and The Beat and Selector, and this no doubt helped to up these acts fees for live shows, allowing them to profitably tour from the outset. It’s true that The Tigers did focus on the recording side initially. The idea was very much to create as best an ‘album’ as possible. To that end a budget was set and deals were struck with the studio whereby we would record in the “graveyard shift” when the studio wouldn’t be booked i.e. midnight – 5 am. There were some college and London gigs around the release of the‘ Kidding Stops’ single, but you’re right that extensive touring didn’t really kick in until Strike licensed the album in the US and attention was focused on its release there in 1980. What did you learn from working with noted engineer Alvin Clark on the Tigers first single 'Big Expense,Small Income / Kidding Stops'? 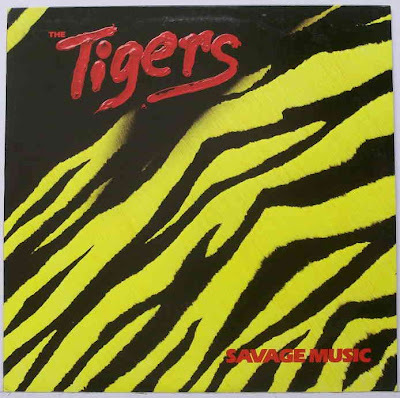 The first single released from the Tigers was actually “Savage Music”. Envisaged as a limited edition – 500 copy ‘taster’ for things to come. It received positive one line reviews in Zigzag & Melody Maker and was given prestigious John Peel radio plays, paving the way for the follow up - break thru’ single ‘ Kidding Stops’. I like to think of the working relationship with Alvin as mutually productive. We both brought ideas to the project. A friend of mine had been recording in Sound Suite Studio and invited me to take a listen. I really liked the sound of the place. The mid & bass was really punchy. Alvin was a dab hand at getting the echo & dub effects spot on. I had a knack for a nifty backing vocal arrangement. As we got further into completing the album, it seemed a ‘no brainer’ to give Alvin a co-producer credit. The NME gave the single a glowing review. What kind of effect did that have on the band's fortunes? The positive Danny Baker NME review meant instant re orders for the single and helped to firm up a deal with Moira Bellas, who had signed the Pretenders to Warners UK. There had been some interest also from other parties following the ‘Savage Music’ single release, but everyone was only prepared to commit to two singles until that review. It ‘upped the ante’, and we were able to talk album commitments. Our only regret was that other than Italy, the album was never released in Europe, only some singles saw the light of day. What was it like to go from being on your own DIY label to signing with A&M Records in the U.S. which was then home to both Joe Jackson and The Police, two bands that The Tigers were often compared to by the US music press? Tell me about recording the 'Savage Music' LP for A&M? The US deal came about when A&M’s UK A&R man heard the single after the NME review and wanted to hear more. By then two thirds of the album had been mixed and we were in the process of pressing some Strike promo copies. Tapes were sent to the US and we got a call to say that David Kershenbaum, who was then head of A&R, liked what he had heard, was coming to London and wanted to meet. He specifically wanted to see the band play live. As there were no scheduled live dates the week of his visit,we hired a staged rehearsal room in West London,invited all our mates, bought the beers and had riot of an evening!!. We must’ve played a set that impressed,as Carole and I were flown to LA to strike a licensing deal for the record with A&M supremo Jerry Moss himself. The A&M offices were something else,housed on the old Charlie Chaplin film studio lot,incorporating recording studios,cutting rooms etc. You’d occasionally catch an earful of Herb Alpert blowing his horn in the afternoon sunshine!! Totally Hollywood. All the bands at the time used to stay at the Tropicana Motel on Santa Monica Boulevard which duly saw its fair share of riotous partying. So it was quite a blast to go from gearing up for a release on our DIY operation to have A&M on board in the US. The band made a big effort to break into the US market. What were your impressions of the US in the early 80’s? What kind of reception did you get from audiences here? We were able to negotiate a tour and marketing budget in our US deal, consequently we enthusiastically made a big effort to break there. Audience response was generally great- when there was an audience! Initially we were based in NYC for about 6-8 weeks, touring up and down the East Coast.We played everywhere from tiny bars in Long Island with 3 guys and a dog,to large clubs in New Jersey on a Saturday night with 2000+going beserk !! The US in the early 80’s, particularly NYC, was not quite the gentrified post-Guiliani city it became. One rare Saturday night off, a few of us headed to Brooklyn to catch the Jamaican act Third World. After the show, and back on the main ‘drag’ trying to find a taxi to our hotel, a gunfight erupted and we spent the next 30 minutes cowering in doorways, nudging our way, a doorway at a time to a cross street where we managed to catch a local kerb crawling unlicensed ‘taxi’. We jumped in the back – the driver had a neck twice the size of Mike Tyson – We said “Can you take us to 42nd St?” He said “Man, I ain’t been further than 21st St”, we said “That’s cool man, just keep going for another 21 blocks and it’ll be fine”. I think he went halfway round Manhattan just to avoid paying the toll in the tunnel!!. A memorable night out – We gave the ‘cabbie’ a good tip – He was well pleased! – but he really saved our bacon that night – there were 2 or 3 bodies on the sidewalk on our little drive back to Manhattan. Can you share any unusual stories about any live shows in the U.S. that were particularly memorable? I could go on all night about all the stories surrounding our live shows in the US. However, one of the more memorable was our very first. As previously mentioned, the initial centre of activity for the band was the East Coast as the Police / Joe Jackson etc. ‘NEW WAVE’ thrust had originated there. We were eager to play a ‘warm up’ gig as out first legit NYC show was a popular radio sync’d live broadcast from a lower west side club. The agent duly arranged a late nite slot for us the day before at Max’s Kansas City, a pretty well known late 70’s stomping ground. We hit the stage around 12:30 – 1 am, did our stuff – but it was really hot – I don’t think the aircon functioned as well in those days. Coming off stage covered in sweat, but felling pretty good after, what was a well received debut in North America, I became aware of a rather refined lady striding head on towards me. She put her arms around my neck, kissed me and exclaimed that this was a fantastic show that she had just witnessed, wanted to know all about us, plus buy me a drink pronto. I was somewhat taken aback, but thanked her for her praises, saying I’d better first deposit my guitar in the dressing room – collect a fresh T-shirt etc. On route to the cockroach encased Max’s ‘band cage’,it transpired that the mystery lady was none other than Lauren Bacall !! It transpired that she had a grandson who had played with a support band on the nite. There was also a journalist from the Midwest who had, by chance, been in the audience as well that night. He also loved the band, wrote a piece, and the Tigers had that night, arrived Stateside! When and why did The Tigers break-up? The Tigers were a ‘one off’ – one album, one-plus years of frantic activity. Several tours- but always in the trail of bands like Police, who really became’ the’ A&M “priority” act. Even though the Tigers LP was a breakthru’ record on the Billboard chart at the time in the Atlanta area for example, little promotion and no gigs were scheduled at the time to coincide with the disc being well received by radio in the southern states. So a little frustration maybe crept in. The band de-camped to the UK at the end of 1980, recorded a couple more singles that saw some radio exposure in the UK and Scandinavia, but we finally called it a day and sought alternative employment as it were, the following year. Tell me about your musical journey since then. After the Tigers I retreated into Nick Lowe’s studio in Shepherds Bush for a while,recording many tracks,of which only ‘I Hear a Heartbeat’ got released as a 7” single. Keyboard player Nick Coler and I teamed up as ‘Wise Guise’ for some releases in Germany. He now works with the pop production powerhouse Xenomania, who produce and write for UK acts like Girls Aloud, Sugarbabes& Gabriella Climi. You can’t get into his guest washroom for all the gold & platinum discs he has on display in there!! Guitarist Ross McGeeney & I formed the ‘Pool Sharks’ with lyricist Leslie Adey who’d had some hits with Jack Green in Canada. Bassist Nic Potter has recently played festival dates in Italy with some of the very best young rock musicians there, releasing a live album in the process. Drummer Pete Dobson was last heard of in Portugal, enjoying the laid -back life there and providing impeccable rhythm for a wide range of live bands. We’ll be releasing ‘Savage Music’ on CD in November to coincide with the 30th anniversary of the first singles releases. Do check out the website at www.thetigers.info where also from November a new track currently under production- ‘On Expenses’, will be available to download. You can learn more about The Tigers and download a free copy of the song 'Savage Music' at their Web site. 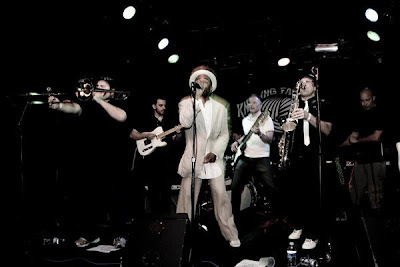 A number of their ska songs including 'Ska Trekking" and 'Kidding Stops" are available on a variety of ska compliations including 100% British Ska. 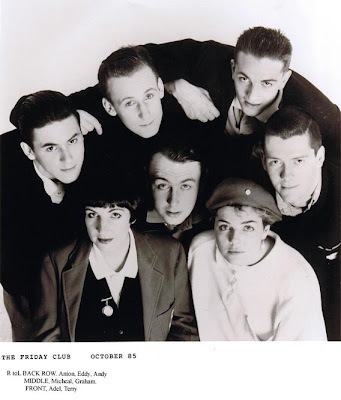 The Friday Club was a big seven piece outfit pop/jazz/funk outfit formed in 1984 in Scarborough in the north of England. The lucky seven were Andrew Brooks (Composer, Vocals, Guitar), Michael Hodges (Lyricist, Vocals, Congas), Adele Winter (Vocals and Vibes), Terry Bateman (Vocals and Sax), Eddie Eve (Keyboards), Graham Whitby (Bass Guitar) and Anton Hilton (Drums). That same year they all decided to move to London looking for better opportunities for their music. Luckily they found a record deal with 2-Tone very quickly after arriving in London. 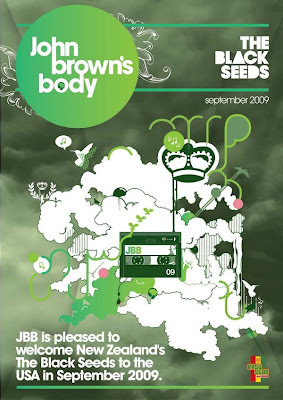 The Black Seeds will be heading to the U.S in September for a 12-show tour with U.S reggae band – John Brown’s Body. The 12-show tour will see the band travel from coast to coast, from New York’s Bowery Ballroom (where I plan to see them), to the ‘Heal The Ocean’ Festival in Santa Barbara, California. Hailing from Wellington, New Zealand, and led by the vocals of Barnaby Weir and Daniel Weetman, The 8-piece Black Seeds’ produce a boundary-crossing fusion of dub, funk, afrobeat and soul, mixed with vintage reggae. 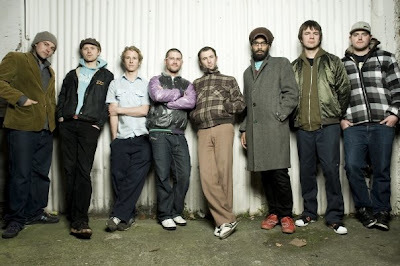 Their unique style of layering infectious grooves and melodies over undiluted roots reggae has increased their popularity throughout the globe in recent years. After forming in 1997, The Black Seeds have a gold, platinum, and two double-platinum selling albums behind them, as well as a great live show that has seen them perform at many of the biggest festivals throughout New Zealand, Australia and Europe. That said, the band is virtually unknown in the U.S. and Canada and that's a shame. It is my humble opinion that the band has picked up the mantle that UB40 dropped many years ago and that The Black Seeds continue to mine to great effect -- that is a mix of accessible and politically motivated reggae music recorded with live instruments (no synths or drum machines here) that has universal appeal. The band's Kiwi roots also lend the music a laid back vibe that includes a particular environmental/green consciousness which is no surprise given they are from New Zealand. Interested listeners will finally be able to pick up the band's latest CD 'Solid Ground' which has finally gotten a U.S. release this September on the Easy Star label (home to The Easy Star All Stars). You can read more about the band and their U.S. tour dates at their MySpace and Facebook pages. While ska and 2-Tone fans outside the U.S. have been enjoying tours by The Specials and Madness, ska fans here in the States remain hopeful that the bands will makes visits here during 2010. In the meantime, tours by No Doubt and Reel Big Fish with The English Beat have filled the void. While No Doubt have not been a ska band since their early days, during their current tour they have been shining a light on their 2-Tone beginnings playing a dub-heavy, down-tempo version of 'Excuse Me Mr.' and a blazing cover of The Skatalites’ classic 'Guns of Navarone' which should really be a staple of The Specials set, as their live cover version remains the definitive version of the song. Whatever your opinion of the band, they burst onto the music scene at exactly the right time and offered up an appealingly lightweight and breezy alternative (with a heavy nod to their early ska roots) to grunge, rap-rock and all the other heavy sounds going down in the mid-'90s. It was a style that would prove immensely influential, not only in its day (with such No Doubt clones as Save Ferris), but more than a decade later as they have paved the way for other young power-pop acts that followed in their wake. I'll always respect No Doubt for bringing a shot of ska and reggae into the U.S. pop charts when it was not fashionable or popular. The band also tapped the re-formed version of The Selecter as a support act several years ago giving Pauline Black a chance to reach a young American audience at a time when ska in the U.S. had gone back underground. It's the dog days of summer here in New York City. Between the heat, ongoing wet weather and massive unemployment rates it makes sense to get away for a few days and there is no better way to do that then hit the road to play some music. There won't be any posts for a few days but I have some great things cooking including interviews with Keene Carse of Urban Blight and Gabriel Zavala who is producing a film called 'Rude Boy' about the ska and mod scene in Los Angeles in 1984. For the next few weeks I plan to highlight American reggae bands who were instrumental in helping to create uniquely American reggae sounds and a reggae scene in cities across the U.S. While ska was cropping up all over the U.S. in the late 70's and early 80's, authentic reggae bands were also helping to grow a grassroots music scene of their own. While the O.N. Klub in Los Angeles is credited with helping to launch the ska and mod scene in the city, the club also played a big role in helping to make reggae a popular sound throughout the city in the early 80's. One Los Angeles-based reggae band who used the O.N. Klub as a springboard to become one of the more well known reggae bands in the city and throughout California was The Babylon Warriors. The band began when Patrick Barrow and a group of expats from the Caribbean got together to play reggae music in their new home town. It was 1978 and there weren't any other reggae bands in Los Angeles area (though there were other bands in other parts of the U.S. like The Fabulous Titans in San Francisco, The Terrorists in New York City and Blue Riddim Band in Kansas City) . The band started as a ten-piece by playing covers of reggae hits, but by 1979 had slimmed down to a six-piece group that was writing and playing all original songs. Though the never became a big name in the U.S. reggae scene of the late 70's and early 80's, they did manage to build a substantial local following that helped them get the support slot opening three nights at The Roxy for UB40 in 1981. Often described as an "American reggae band," all the members were originally from various parts of the Caribbean and Africa. Barrow, who moved to L.A. in 1967 and led a band called The Skyliters from 1971-1977, was originally from Belize, as were lead singer Harrington Trapp and bassist Lem Vaughan. Lead guitarist Jymi Graham had moved to L.A. from his native Kingston, Jamaica, while keyboardist Sly Degbor was a native of Ghana who had backed such African stars as Miriam Makeba and Manu Dibango. The band were dynamic live and are often compared to Steel Pulse in sound and presentation, though they slotted in nicely with the best of early 80's reggae mixing in liberal doses of soul and funk to their reggae sound. The Babylon Warriors never signed with a major label or even a decent-sized independent, instead releasing their debut EP 'Forward'on American Music in 1983. Sadly the band and album remain obscure, which is regrettable, because they had amazing potential and could have been much bigger than they were. Although their EP is very difficult to find, it's worth picking up if, by some chance, you come across a copy somewhere on Ebay. Below is video of the band performing 'Dread Situation' from 1981 at a Los Angeles songwriters competition. They are introduced by noted reggae expert and writer Roger Stephens. Below is video of the band performing the song 'Feeling Alright' live in LA sometime in the mid or late 80's. You can get a sense of the energy of the band and their very up-tempo live show. The Tone & Wave blog was kind enough to introduce me to The Babylon Warriors and to share an MP3 download of the song 'Feeling Alright' which you can download below. Its definitely worth a listen to hear a great U.S. reggae band who were far ahead of their time and sadly were never able to reach an audience outside Los Angeles and California.